It all happened at Twin Lakes State Park in Virginia on Feb. 2. Two sets of identical twins are now planning a joint wedding after twin brothers proposed to twin sisters on February 2, or 2-2. Brittany and Briana Deane met Josh and Jeremy Salyers last August at The Twins Days Festival in Twinsburg, Ohio, which bills itself as the "largest annual gathering of twins (and other multiples) in the world," according to its website. Although the 31-year-old Deane twins have been trekking to the festival from their home in Virginia since 2011, for the 34-year-old Salyers' twins, it was their first time. "When we got there it turned out better than we ever expected," Josh Salyers told ABC News, referring to his recent engagement. Brittany Deane recalled that she and her sister spotted the Salyers twins at one of the festival's welcoming events. (Courtesy Brittany Deane ) Twins Josh and Jeremy Salyers proposed to twins Brittany and Briana Deane at Twin Lakes State Park in Virginia, Feb. 2, 2018. "We were sitting on the bleachers and I saw just these two amazingly handsome young men that looked to be about our age," she recalled to ABC News, "and they were walking across the gym floor below." Her sister Briana Deane recalls that her sister grabbed her by the wrist, "which we always do when we get excited about something," she said. And after a few moments, she too had spotted the brothers. "They were stunning," Briana Deane said of her now-fiance and his twin brother. (Courtesy Brittany Deane) Twins Brittany and Briana Deane at Twins Days Festival in Twinsburg, Ohio last August 2017. Sadly, the twin siblings didn't cross paths until the last day of the festival for it's closing night party. "They were there at the end of the hall," Briana Deane said. "They smiled at us and we all started talking." The Salyers twins sent the Deane twins a message via Facebook saying they couldn't wait to bump into them next year at the festival. But instead, the sisters asked, "Why wait?" The brothers then made a road trip out of it -- driving from their previous home in Clinton, Tennessee to visit the sisters in Virginia. After an amazing trip, the brothers said they knew immediately they'd propose one day. "You know when you know," Jeremy Salyers said. "We’ve always known our whole life if we were going to be married that it was going to be with twins." The brothers, who now live in Hagerstown, Maryland, planned a proposal at the same location as their first date -- Twin Lakes State Park in Virginia. 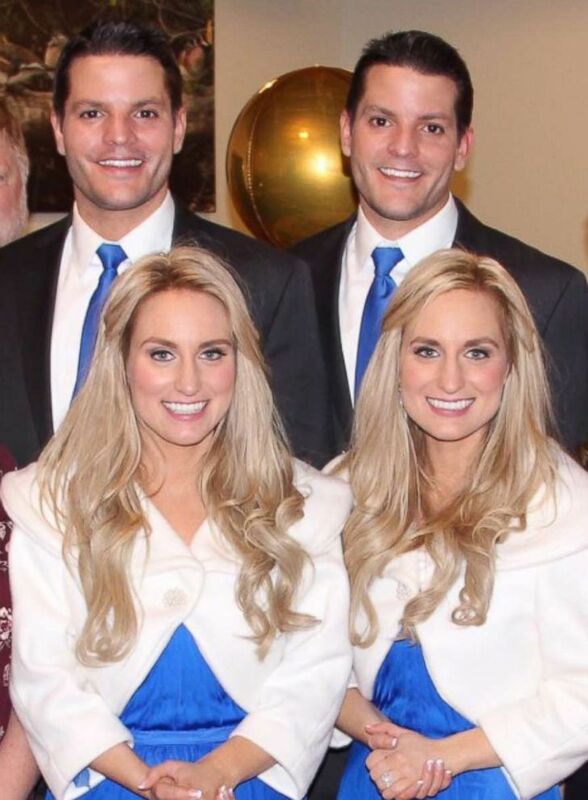 They told the sisters the wedding venue on-site wanted to feature the four in a commercial, so they all arrived in matching blue gowns and matching blue ties. What the Deane sisters didn't expect was for the Salyers brothers to drop down on one knee at the same time. It made it even more special for all of the pairs. "We have done so much in life together. 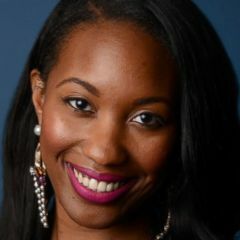 We’ve gone through ... having twin loves of our lives and to accept their marriage proposal at the same time made it that much more special," Brittany Deane said. (Courtesy Brittany Deane) Twins Josh and Jeremy Salyers pose for a photo. Josh Salyers added, "We’ve always felt blessed to have each other and now we have two other twins who are just like us...but they also add their own contributions that we couldn’t have. Together we can accomplish anything." 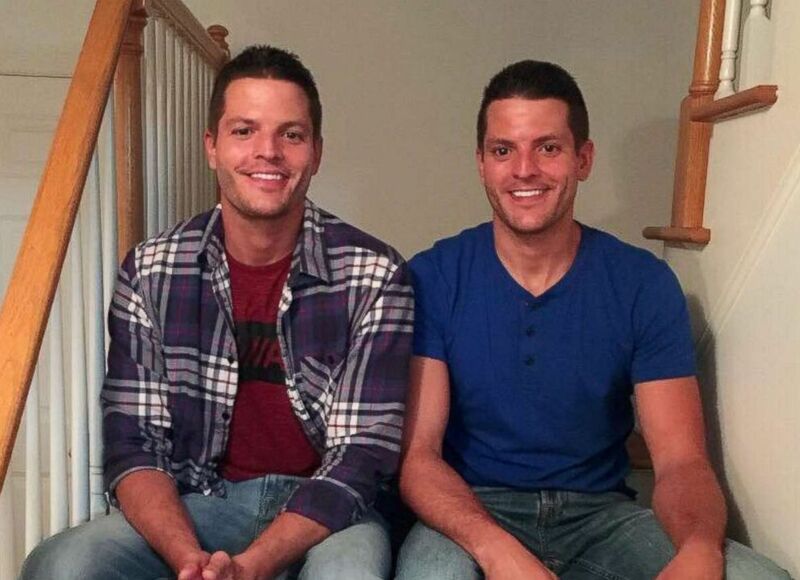 The couples now plan to have a double wedding this August at the Twins Days Festival in Ohio. And yes, if you're wondering, the brides will be in identical wedding dresses.